Pioneers in the industry, we offer rubber grommets for automobile industry from India. Our Rubber Grommets for Automobile Industry are designed to increase operating life and improve performance. The Industrial Grommets are available in all range of material and configurations, standard or customized. 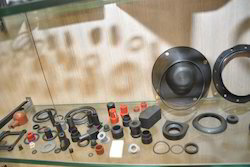 Looking for Rubber To Metal Bonded Products ?